A big challenge though is that many people tend to perceive dependency only in its extreme or physical form. Yet the majority of drinkers with some level of alcohol dependence will not have a physical reliance on alcohol, but a psychological one. Broadly, this means they experience a strong psychological desire to drink and difficulty controlling their alcohol use. For most dependent drinkers, that is not because their body needs it (yet), but perhaps because their brains have become overly used to drinking, often to deal with other problems or as a coping mechanism. Perhaps the easiest way to think about the importance of the psychological aspect of dependence is the high re-lapse rate amongst severely dependent drinkers having undergone detox. Their body has dealt with the physical need to drink, but it is the ‘addicted mind’ that compels them back to drink. Whilst there is great debate over what works for ‘recovery’, one thing can be agreed for sure – achieving it is not easy. But most alcohol misuse is amongst non-dependent drinkers so their drinking is still well within their control. They can therefore very often change their drinking without great difficulty should they choose to. They may be confronted with peer pressure, or need to find some other ways of enjoyment, but these challenges are small compared to overcoming dependency. 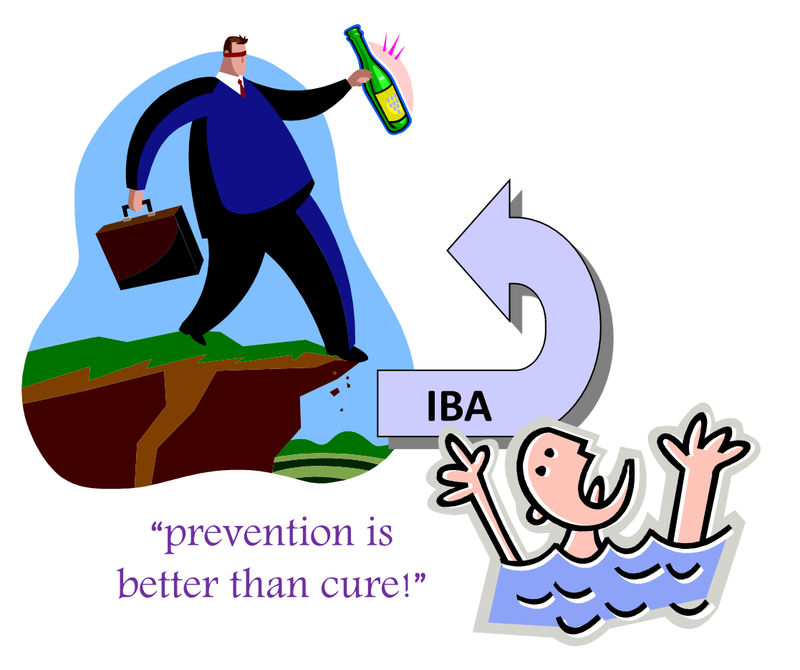 IBA empowers risky drinkers to recognise the value of cutting down their drinking – while it still well within their control.